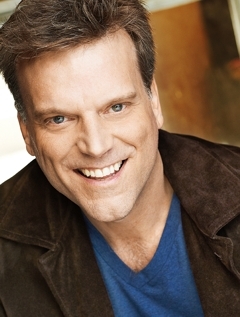 Paul Boehmer attended his first Shakespearean play while in high school; he knew then that he was destined to become the classically trained actor he is today. Graduating with a master's degree, Paul was cast as Hamlet by the very stage actor who inspired his career path. A nod from the Universe he'd chosen aright! Paul has worked on Broadway and extensively in regional theater. Coinciding with another of his passions, sci-fi, Paul has been cast in various roles in many episodes of Star Trek. Paul's love of literature and learning led him by nature to his work as a narrator for audiobooks, his latest endeavour. Paul is married to the love of his life, Offir, and they live in Los Angeles with their two midnight-rambling tomcats, Dread and David.